These floating huts are for rent and they're moored to the largest sandbar I've seen anywhere. 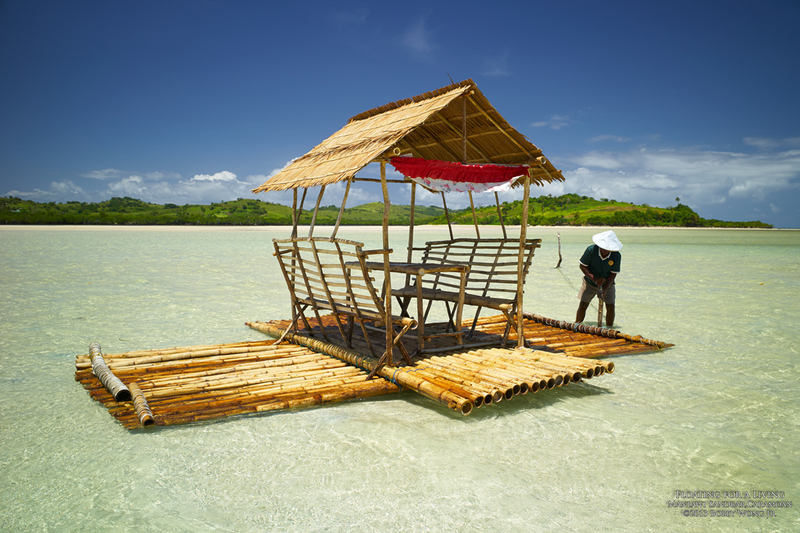 We were on the Manlawi sandbar in Caramoan when we came across Mang Menardo. He's 60 and a fisherman from the nearby barrangay Gogon. With the growing influx of tourists, he makes a good living leasing these huts for P200 each. And if he's lucky, he gets to collect twice or more as tourists come and go during the day. This sandbar hasn't always been so massive, he told us. It was only when typhoons stopped pummeling nearby Catanduanes province did the sand really start to accumulate here. Well, that goes to show how climate change is changing our world, and in the process, help a happier Mang Menardo float for a living. Enjoy.